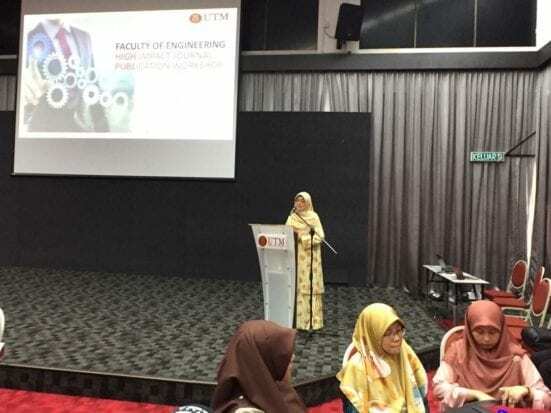 Faculty of Engineering UTM has conducted the High Impact Journal Publication Workshop from 14th-15th of January 2019, specifically aimed to boost the number of paper publication in Q1 and Q2 journals. This initiative under the leadership of Prof. Dr Naomie Salim, Deputy Dean (Research and Innovation) targeted those who have high potential to publish their research in Q1 and Q2 indexed journals. The workshop was officiated by Prof. Dato’ Ir. Dr. Mohammed Rafiq bin Dato’ Abdul Kadir, Dean of Faculty of Engineering. It was the first phase out of the two phases planned. 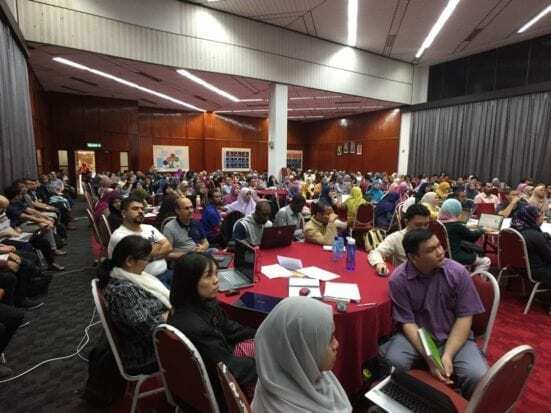 The first phase equipped the participants with general skills in writing by UTM leading researchers including Professor Dr. Rosli Illiyas, Professor Ir. Dr. Sharifah Rafidah Wan Alwi, Professor Dr. Azman Hassan and Dr. Tasneem Darwish. The second phase is scheduled on 12th of February whereby a final version of articles are expected to be ready. Professor Dr. Rosli Illias, Chief Editor of Scopus-indexed Jurnal Teknologi and Chair of Health and Wellness Research Alliance, gave useful tips on how to motivate members of research groups and students to publish. Professor Dr. Naomie Salim, Deputy Dean (Research and Innovation) of Faculty of Engineering shared ways to write different types of papers – review papers, system papers, theoretical papers and experiment result papers based on editorial notes and analysis of those types of papers in Q1 journals. Professor Ir. Dr. Sharifah Rafidah Wan Alwi, Head of Prospect and Associate Editor of Elsevier Journal of Cleaner Production, a Q1 journal with an impact factor of 5.651, explained on strategies to publish in good journals and how editors make decisions on paper selection. Professor Dr Azman Hassan, Editor-in-Chief of the Malaysian Polymer Journal and Perintis eJournal, shared on how to edit manuscripts and respond to reviewers’ comments. Dr Tasneem, post-doctorate fellow, shared strategies on how she managed to publish a high number of Q1 journal papers during her PhD days. More than 280 academic staff and their students attended the workshop. Participants brought their draft or rejected papers. They were also given a step-by-step exercises that help them write papers from beginning till the end. With the help of facilitators nominated by the six schools under Faculty of Engineering, they have to prepare papers at research group and school level workshops and submit their papers to be examined and discussed at the final leg of the workshop on 12th February 2019, which hopefully concludes with submission of those papers to journals at the end of the day. The organizing committee has anticipated that this informative workshop can kick-start the writing spirit among our staff. This spirit can then be an inspiration for the students to continue part of their academic journey.